Don't let the name fool you! 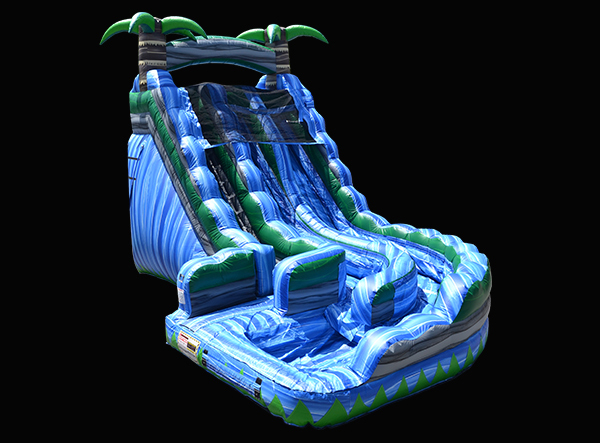 This 24' Dual Lane Water Slide is sure to keep you feeling refreshed as you take the drop down the lanes and into the Slip-N-Slides! Looking to cool off at your next event? 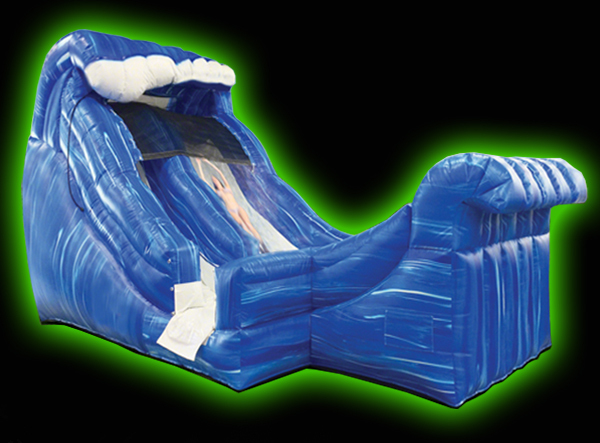 Try out our Blue Crush Dual Lane Water Slide! 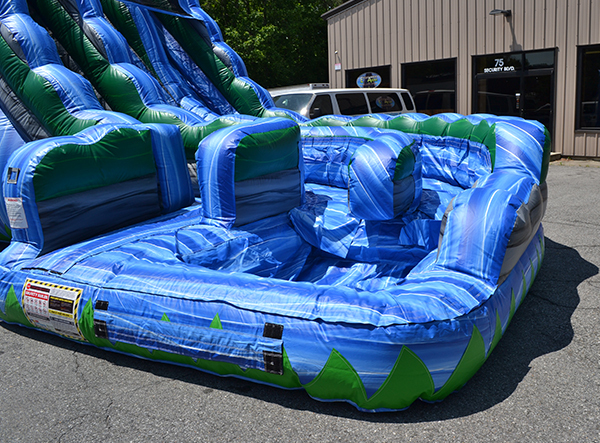 You and a friend can take the plunge down this fun slide and land into a refreshing pool of cool water! 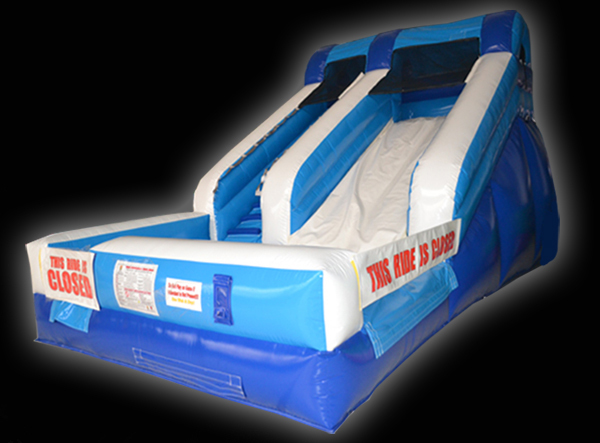 Feel the rush as you take the vertical drop on this exciting 20' dual lane slide. Fun for all ages! 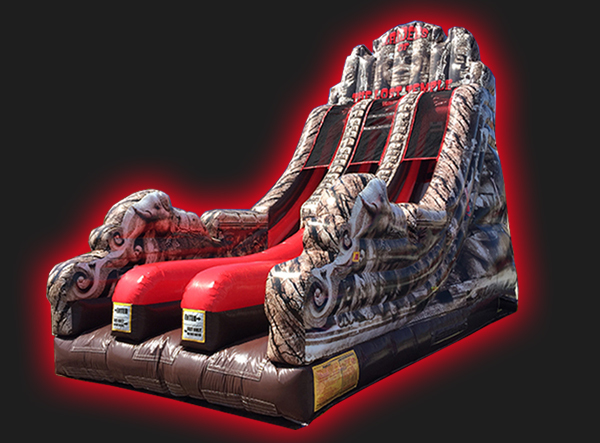 This new unique slide challenge features full digital graphics of the lost temple with a slight twist from your normal slide. 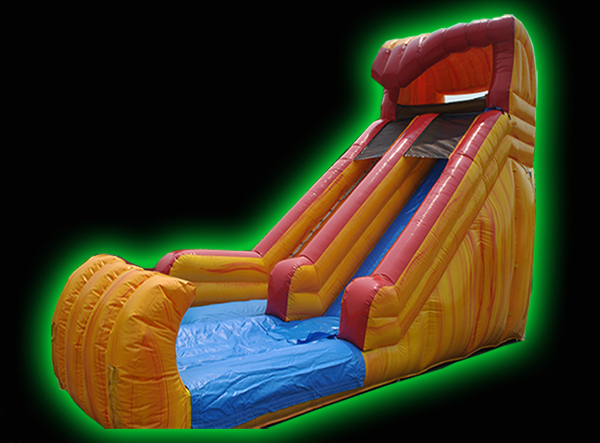 Opponents must begin by racing each other part way up the slippery slide slope before grabbing on to the climbing handles to finish their climb to the top. Once they have made it to the top they finish the race by sliding down to the finish line. 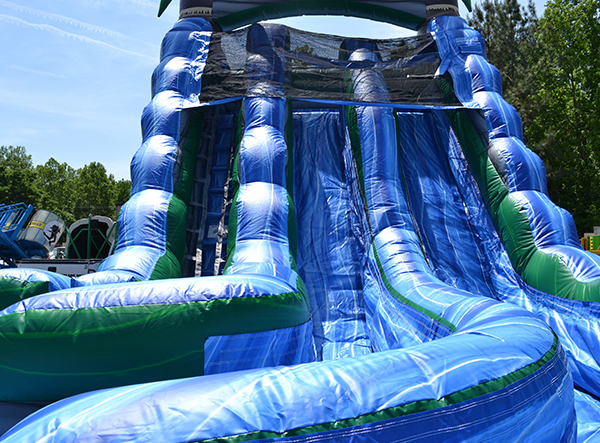 Enjoy this water slide at your next event. Fun for all ages! 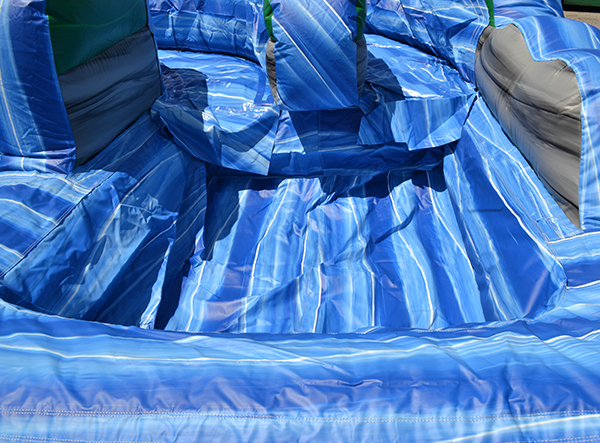 Enjoy this fun and exciting water slide on a summer day. 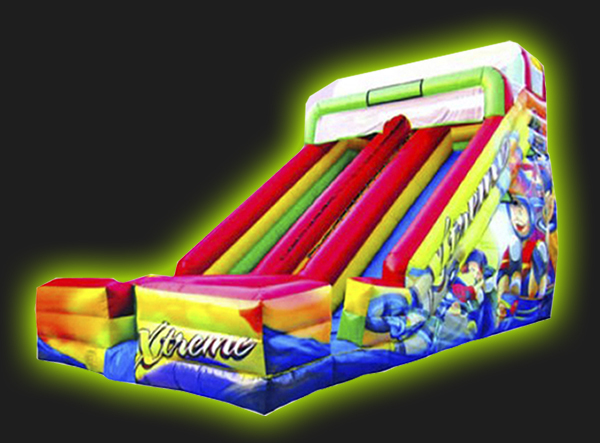 Feel the rush as you take the vertical drop on this exciting dual lane slide. Fun for all ages! 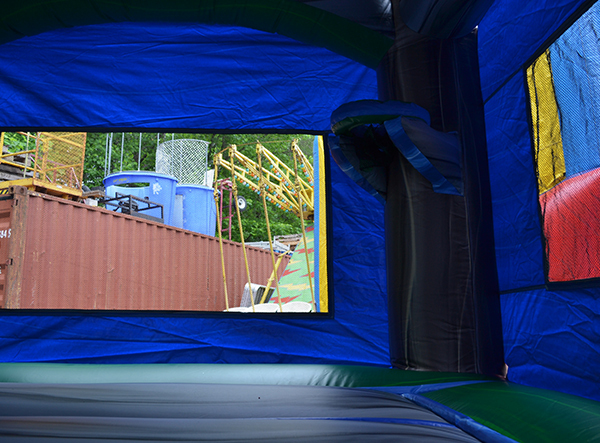 Climb up to the slide platform and prepare for a breathtaking adventure. Lean back to increase your speed and before you know it, you'll be at the bottom. This slide features BMX graphics and dual lanes. 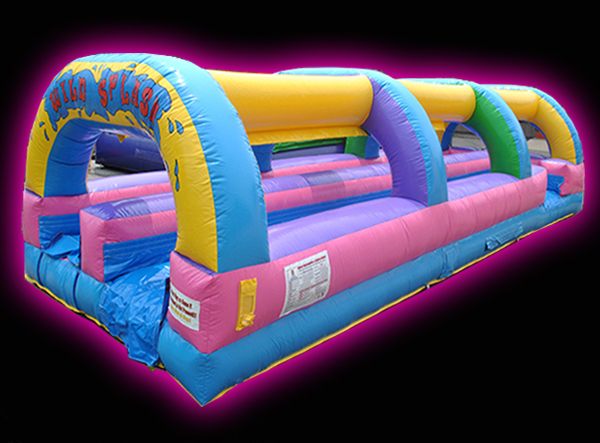 The Double Lane Wildsplash Slip-N-Slide is the ultimate inflatable slide, guaranteed to provide hours of fun at any party. 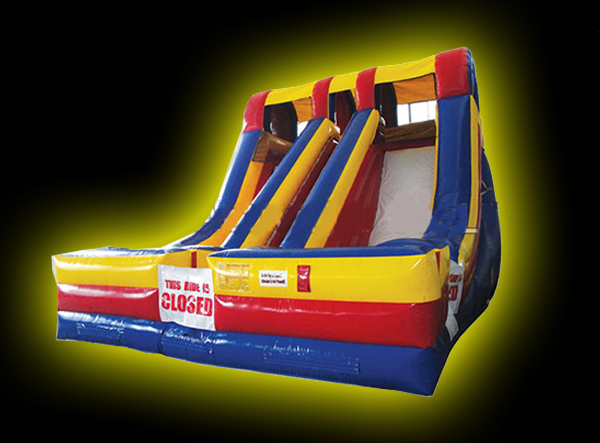 The double lane design allows for double the fun for double the participants. 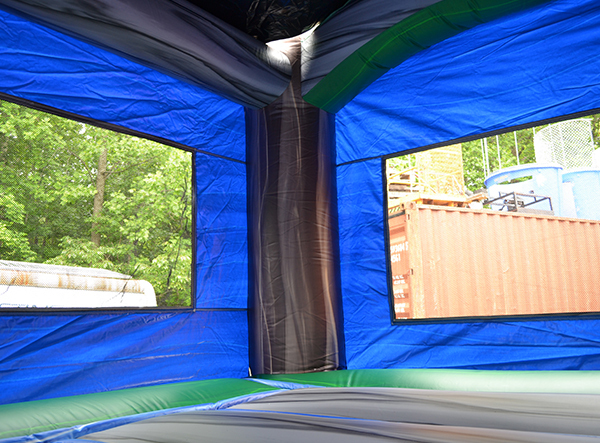 It is sure to keep kids and adults delighted with lots of slip and slide action. 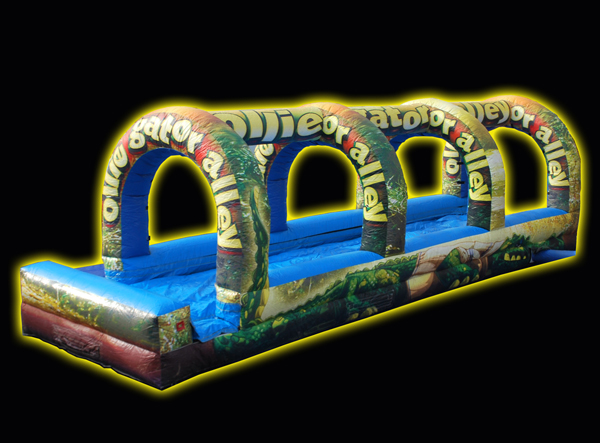 Ollie Gator Alley Slip & Slide is a new version of the classic Slip & Slide. 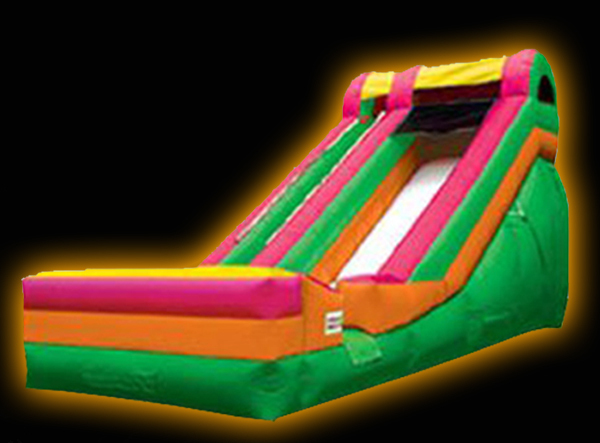 Participants get a running start and bive onto an inflatable and slide 35 feef. Must be within 100' of a garden hose water supply connection. 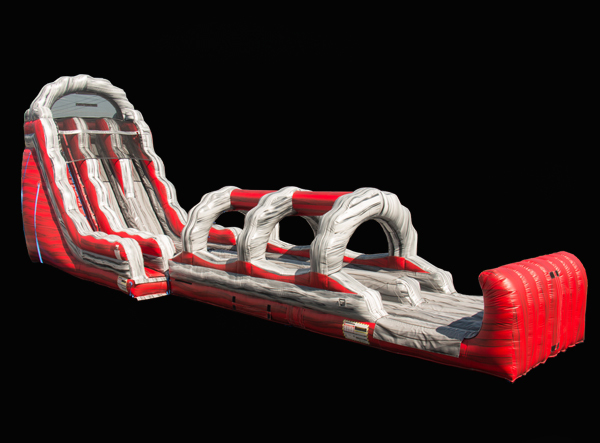 This single lane slide is the perfect size for a backyard party or get-together. 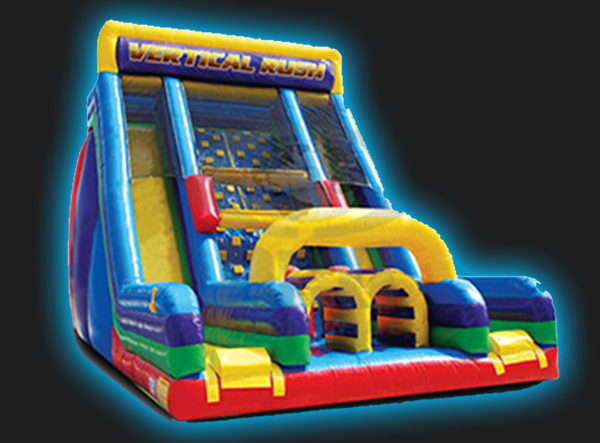 A brand new, wacky version of an Obstacle Course and Slide that is sure to test your endurance as you battle your opponent through the entrance tubes, bash your way through inflated pillars and climb over 20' up mounds until you get to the top platform where you finally hit the slide and slide down. What will your best time be?